A Celtic Childhood is the lyrical narrative of a gifted and animated storyteller. With humour and charm, Watkins blends history, song, and Celtic identity into a wonderful tale of misadventure and merriment. 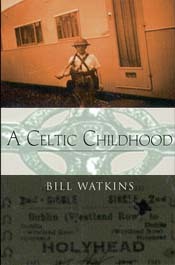 Watkins vividly portrays his eccentric and richly colloquial Celtic family; his vibrant Irish mam whose 'hand is on the tiller' as the head of the household, and her tendency to burst into song; his principled but stout-loving Welsh dad, who dances a jig to escape from the fairies; an uncle, who gets the 'heebie-jeebies' from round food; and his lovely Grandda, who has a 'generous supply of Celtic songs and tall stories for all social occasions.' The fleádh nights with his family are filled with poetry, music, and storytelling that bring forth a rich understand of young Bill's place in Celtic history. 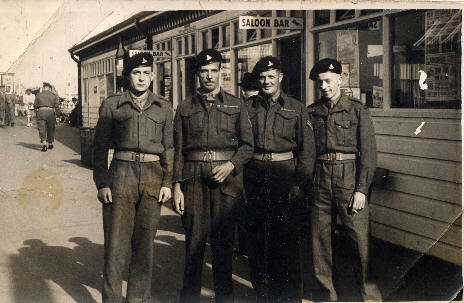 Dad and comrades defending the post Saloon Bar.